Karen Hills and CSANR Associate Director, Georgine Yorgey co-wrote this post. 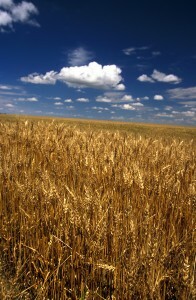 Dryland areas are historically used for wheat production. Photo: USDA, ARS. 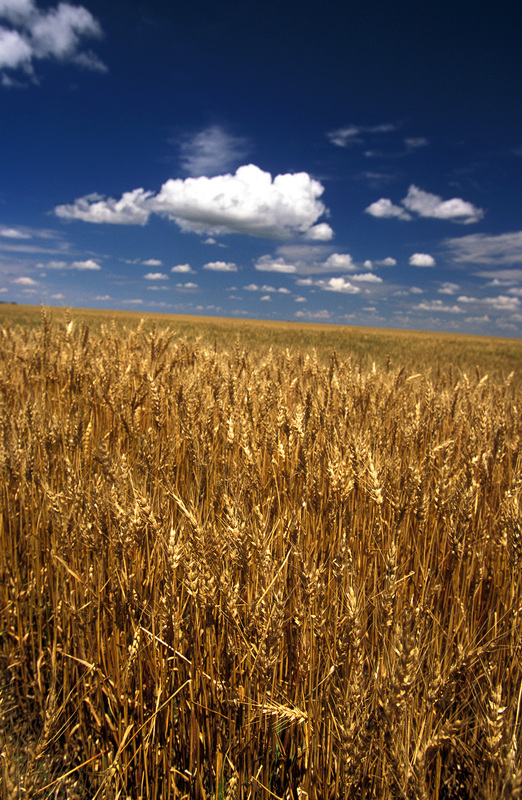 Across the dryland areas of the inland Pacific Northwest, soil erosion and the use of near monocultures of wheat have long been serious sustainability challenges, ones that we have been working on for decades, including over the last seven years through regional collaborations. Reducing or eliminating tillage has been one important strategy for reducing erosion across the region in recent decades. Improving diversity by including crops such as canola, peas, chickpea and quinoa in rotations is another approach, but across the inland Pacific Northwest from 2007-2014, 53% of dryland crop acreage was used for winter or spring wheat, while an additional 31% was fallow (meaning that to preserve moisture for the following crop, no crop was grown) (Kirby, E. et al., 2017). While it is a widely-used strategy for coping with water limitations, summer fallowing, especially tilled summer fallowing, limits the sustainability of these crop rotations. Fallow fields are at higher risk of wind erosion and soil degradation, and have the potential for increased greenhouse gas emissions associated with weed management and tillage. Recent evidence published by our colleagues suggests a potential for increased fallowing in the region in the future unless alternatives are identified and implemented (Kaur, H. et al., 2017). Now we’re collaborating on a new project to continue work in the region on the development of more sustainable and resilient agro-ecosystems. The “Landscapes in Transitions” project, led by Jodi Johnson-Maynard at University of Idaho, focuses on integration of relatively new varieties of winter pea and cover cropping with livestock grazing into dryland cropping sequences. The integration of winter pea is an incremental change, as it involves relatively minor modifications to current practices. New varieties of winter pea offer promising replacements for winter wheat in crop rotations in the drier parts of the inland Pacific Northwest that have fewer options for diversification (Schillinger, W.F., 2017). In the wetter areas of the inland Pacific Northwest, new research is underway to look at integrating winter pea into rotations in place of other legumes, or in place of spring wheat. Winter pea uses less water than winter wheat and it fixes atmospheric nitrogen, eliminating the need for additional inputs of nitrogen fertilizer. The disadvantages of winter pea compared to winter wheat include lower crop value, less crop residue, and less weed competitiveness. This project will optimize best management practices for production of winter peas including “downstream” activities in the food supply chain. 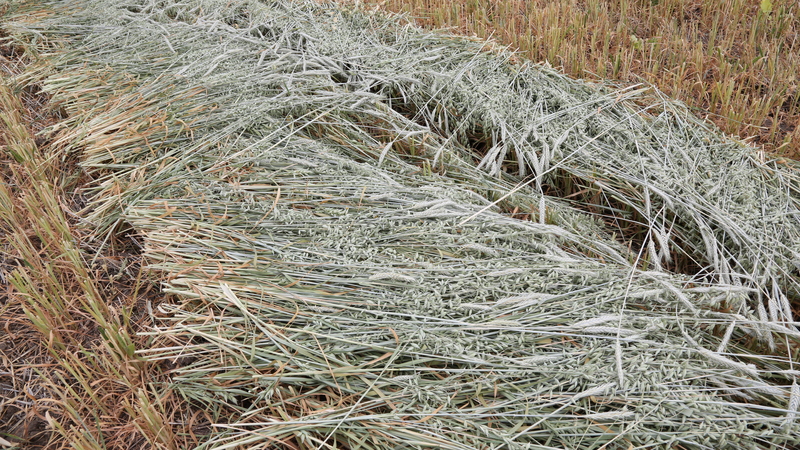 Swathed cover crop that will be fed to cattle in the field, Nez Perce, ID. Photo: D. Kilgore. The second approach, integrating cover crops with livestock grazing, is a transformational change since it may require broader changes to practices. While fall-planted cover crops provide a multitude of environmental benefits, they have two potential drawbacks in our region when grown prior to spring-seeded crops: 1) the short window for growth limits biomass, and 2) they have the potential to use soil moisture that would otherwise be available for spring-seeded crops. 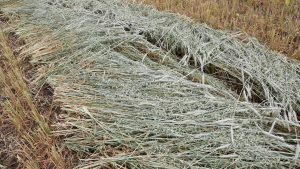 For these reasons, producers in the wetter region have been experimenting with leaving cover crops in for the whole growing season and using them for grazing livestock. This approach can provide high quality forage for cattle during the dry summer months – typically the limiting time for grazing – while potentially enhancing soil health. Identify socio-economic and policy-based barriers to the adoption of these alternative strategies and create tools to overcome these barriers. Will these strategies work? While development of winter pea options for the region have been promising, the idea of livestock re-integration is riskier. However, some innovative producers throughout the region have been successfully experimenting with livestock grazing of cover crops, including Drew Leitch, profiled in a recent case study video (below). And as a scientist friend once said to me, “If we knew whether it would work, it wouldn’t be research!” Stay tuned over the next four years to find out. Kaur, H. et al. 2017 Agro-ecological Class Stability Decreases in Response to Climate Change Projections for the Pacific Northwest, USA. Frontiers in Ecology and Evolution 5:74. Kirby, E. et al. 2017. Rotational Diversification and intensification. Chapter 5 In Yorgey, G. and C. Kruger, eds. Advances in Dryland Farming in the Inland Pacific Northwest, Washington State University Extension, Pullman, WA. Co-written with CSANR associate director, Georgine Yorgey. 3 thoughts on "New Ideas for Improving the Resilience of Semi-Arid Systems"
Relevance to Agricultural Sustainability. How far along is the WSU study that is mentioned in the article? Any conclusions yet? Can I be kept in the loop of what this study’s results are, please? Dear Dave, Thanks so much for your comment. We are glad this topic is timely and of interest to you, and it’s great to hear about similar efforts in Montana that you are working on. The Landscapes in Transitions project is just at its inception, with field trials going in this coming year. The easiest way to stay in the loop about results as they develop is probably through the CSANR blog, as well as agclimate.net (our regional effort for climate change and ag in the PNW). Thanks, Georgine. I will look for future CSANR blogs about your project. I forwarded your email to Devon Ragen, , the PI for the MSU project. She is interested in your work too.